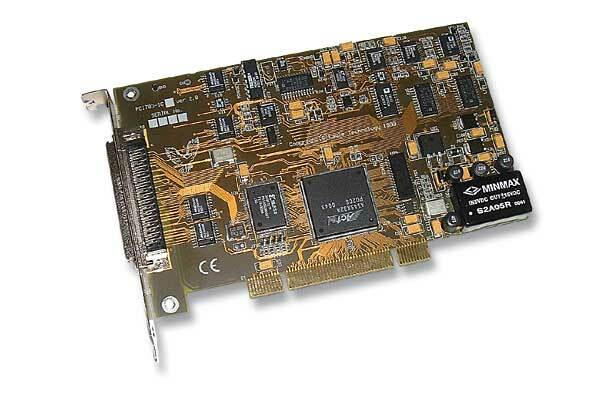 Our flagship data acquisition board, the PCI-703 is known for its low noise and high performance. It is a 14-bit 400kHz analog input and analog output board for PCI based systems. The board features 16/32/64 single-ended or 8/16/32 differential analog inputs. Analog sampling can be done via polled i/o or bus-master DMA. Eighteen digital i/o lines and 3 counter/timers are fitted as standard. Ten of the i/o lines are for multi-function use, such as for external trigger source or external convert. The balance are for standard digital i/o use. The two optional analog output channels can be used for waveform generation or reference voltage outputs. Boards are supplied with free EDR Enhanced Software SDK which includes drivers and examples.